Reading Bavinck for the last 6 months has been illuminating on several levels. Not only was he a top-notch constructive theologian and biblical thinker in his own right, but he was also an eminently historical thinker, steeped in the broad tradition from the patristic, medieval, Reformation, Post-Reformation, and modern periods. For that reason, novice that I am in these sorts of things, Bavinck has been instructive to me both in the conclusions that he comes to, but also in his historical judgments and discussions, and overall humbly critical approach to the tradition (including the Reformed) as a whole. When we are taught that as a result of sin that humans are incapable of any good and this inability is called “natural,” this does not refer to a physical necessity or fatalistic coercion. Humans have not, as a result of sin, lost their will and their increated freedom: the will, in virtue of its nature, rules out all coercion and can only will freely. What humans have lost is the free inclination of the will toward the good. They now no longer want to do good; thy now voluntarily, by a natural inclination, do evil. The inclination, the direction, of the will has changed. “This will in us is always free but it is not always good.” In this sense the incapacity for good is not physical but ethical in nature; it is a kind of impotence of the will. 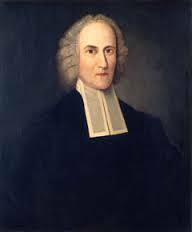 Some theologians therefore preferred to speak of a moral rather than a natural impotence–Amyraut, Testard, Venema, and especially Jonathan Edwards among them. Edwards in his day, one must remember, had to defend the moral impotence of humans against Whitby and Taylor, who denied original sin and deemed humans able to keep God’s law. They argued, against Edwards, that if humans could not keep God’s law, they did not have to, and if they did not keep it, they were not guilty. To defend himself, Edwards made a distinction between natural and moral impotence, saying that fallen humans did have the natural but not the moral power to do good. And he added that only natural impotence was real impotence, but moral impotence could only be figuratively so called. For sin is not a physical defect in nature or in the powers of the will; but it is an ethical defect, a lack of inclination towards or love for the good. Now Edwards did say that human beings could not give themselves this inclination toward the good nor change their will. In this respect he was completely on the side of Augustine and Calvin. But by his refusal to call this disinclination toward the good “natural impotence.” he fostered a lot of misunderstanding and actually aided the cause of Pelagianism. Again, this is a fascinating discussion on a number of levels. First, it begins to clear up a number of misconceptions about the Reformed approach to total depravity and natural inclination towards sin. Beyond that, growing up as an American Evangelical, after Calvin you’re kind of trained to think of Jonathan Edwards as the other name when it comes to Reformed, or more likely, Calvinistic theology. In fact, it’s very easy to find a number of young, Reformed theological types who’ve never read Calvin, but have jumped head-first into Edwards’ sermons, treatises, and so forth. And I’m not really knocking that. I’ve benefited from a number of his sermons, not just Sinners in the Hands of an Angry God (although, fun fact, I briefly dated a girl in college who said her father read that to her and her sisters one Halloween), as well as his fabulous treatise on The End For Which God Created the World. Still, it’s fascinating to realize that in many wings of the Reformed family, Edwards is considered, not a bastion of classic Reformed orthodoxy, but a theological innovator who made some serious mistakes. This also illustrates that very important point that often gets lost in popular discussions of Reformed theology, which is that the Reformed tradition is a tradition, not simply a set of standardized, universal answers. Now, by the word ‘tradition’ I’m invoking, or at least trying to invoke, the sense given by Alasdair MacIntyre, who says that “a tradition is an argument extended through time in which certain fundamental agreements are defined and redefined.” In that sense, while the broad Reformed tradition has some baseline agreements and shared assumptions that distinguish it from Lutheran and Roman Catholic traditions, that doesn’t mean that on every single issue you’re going to get all Reformed theologians speaking with one voice, or simply parroting what Calvin said. There is debate, discussion, disagreement, refinement, and redefinition. Which is why it is often-times very important recognize that simply because Calvin, or Edwards, or Bavinck, or name your favorite contemporary figure (Piper, Keller, Horton, etc.) says “this is what Reformed theology teaches”, it may be important to qualify it still further with “Puritan Reformed theology”, “Continental Reformed theology”, and so forth. And even that can be too simplistic. This is part of why I’m looking forward to Oliver Crisp’s forthcoming Deviant Calvinism, which should be illuminating on that score. Following this point, I would hasten to add that we probably should be more careful to be so quick to rule out someone out of the Reformed tradition. I have to say, I love the way Bavinck handles Edwards’ here. While being critical, and even to the point of saying his theology ended up confusing rather than helping, Bavinck still acknowledges Edwards’ efforts here positively, and reads as charitably and contextually as possible. (The engagement between N.T. Wright and his Reformed critics come to mind here as well.) For those of us, then, still “on the way” in our theological journey, we have in Bavinck a model for how to carry on that conversation, that “argument extended through time”, with our Reformed, and yes, even non-Reformed brothers and sisters in the broader tradition. I appreciate the post. Bavinck is one of my favourites. Edwards has been criticized more boadly for adhering to something short of the doctrine of predestination as well. Have you come across the dialogue between Richard Muller and Paul Helm on this? It’s a fascinating discourse, rich in philosophical distinction. I recommend it. I can send the PDFs if you’re interested. I would LOVE to see those pdfs, if you could. reformedish@gmail.com. Like I said, I enjoy Edwards when I read him, but this was a funny little spot. Actually, the area I’ve seen him criticized him more in, is his doctrine of creation and the specter of occasionalism and idealism that haunts it. But yes, if you would, those would be so helpful. Thanks for reading! Pingback: Why You Should Read Bavinck | Do You Really Believe?